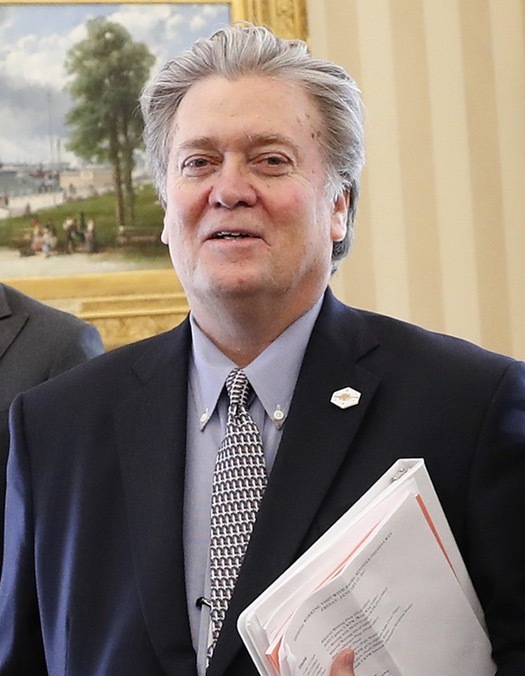 "President Trump has reorganized the National Security Council by elevating his chief strategist Steve Bannon and demoting the Director of National Intelligence and the Chairman of the Joint Chiefs of Staff. Now, Bannon will join the NSC’s principals committee, the top inter-agency group for discussing national security. The National Security Council is the staff inside the White House that coordinates decision making by the president on such matters, in coordination with outside departments including the State Department and the Pentagon. It’s an unusual decision, NPR’s Mara Liasson reported. “David Axelrod, for instance, who had a similar job as Bannon in the Obama administration, never sat in on Principals meetings,” she added. When such figures seen as part of the political wing of the White House have participated in broader National Security Council meetings, it’s sparked sharp criticism from the national security establishment."